As this series has progressed, we have been lead on a journey of art through the ages. We have learned so much about great civilizations, individuals, and ways of life that may have all been forgotten if not for the art they left behind. This art has not only kept them in our memory, but it has played an irreplaceable role in teaching us about ourselves. It does this by reminding us of our triumphs and follies, capturing small moments in places we can all relate to, and sometimes even by simply focusing on the beauty, or ugliness, in the world around us. Thousands of years for us to look back and reflect on. As I watched this final episode, I thought about this series as whole, and questions that always swirl in the minds of many artists suddenly began to weigh a little heavier. In a thousand years, what will our descendants be able to learn from our civilization through what we leave behind? What will our great message be? And how will we tell it? This episode studies a few artists who are asking those same questions and are doing their damnedest to make sure the they honor the mantel that has been passed on to them. To be the keepers of, what host Simon Schama calls, humanity's vital spark. 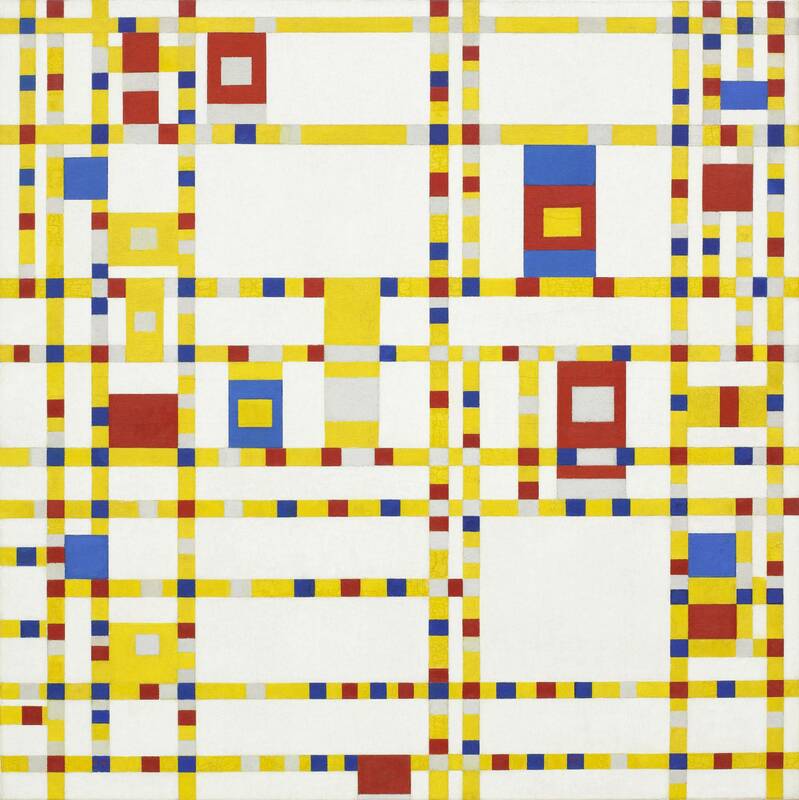 This episode chronicles the birth of Abstraction through the life and work of Piet Mondrian. His "Broadway Boogie Woogie" painting is one of my favorites from that period. Through this segment, we learn how modernist art would put in the place of figure, nature, and narrative just the things intrinsic to making art itself. Line, form, and color. The episode also introduces us to artists creating work in radical new ways, mastering the most non-traditional of mediums. Such as Ghanaian sculptor, El Anatsui, who creates massive installations made up of flattened bottle caps sewn together with copper wire. Small, worthless objects are given new value and importance. His work is so stunning. Also, during his interview, it was interesting to hear him speak about how he doesn't include installation instructions with his pieces when they go to a new museum or collection. He says it’s a matter of principle for him. I have had the pleasure of seeing one of his pieces in person at the Iziko South African National Gallery in Capetown. The first thing that grabbed me was the intricate beauty of the work. His pieces are like organic tapestries that almost writhe on the wall. The curves and contours make them feel alive. Then I was slowly overwhelmed by the sheer magnitude of how long it would take to make something like this. The patience and care invested in the work was just as clear to see as the work itself. And now knowing his principle of the pieces being installed differently each time they are hung puts the work in an even more special place in my mind. It makes me think that his work is perhaps a suggestion on how we should live our lives. Take the little we may have and do something with it, and be willing to conform, or rather adapt to any time and place we might find ourselves in. Yes, we have come a long way. Yes, we have made a difference. Yes, we have done impressive things. But, that could all go away in an instant. Another master of a nontraditional, but also very ancient, artistic medium is Cai Guo-Qiang. He uses gunpowder and explosions to create beautiful fleeting moments. Orchestrated clouds of smoke appear like looming spirits and just as quickly as they are created, they slowly drift away, giving us a small taste of the unpredictability of the natural forces we strive to harness. When he wants to create something more permanent and enduring, the results are surprisingly more delicate and ethereal than one might expect from a creation made with tools usually set aside for destruction. He is definitely an inspiration to artists in the sense that he does not get caught up in trying to control or force a specific outcome. He allows his medium, and in turn the work, to do what it would naturally. The results are empyreal to say the least. The episode also speaks to artists who are making bold statements about the state of our current world. 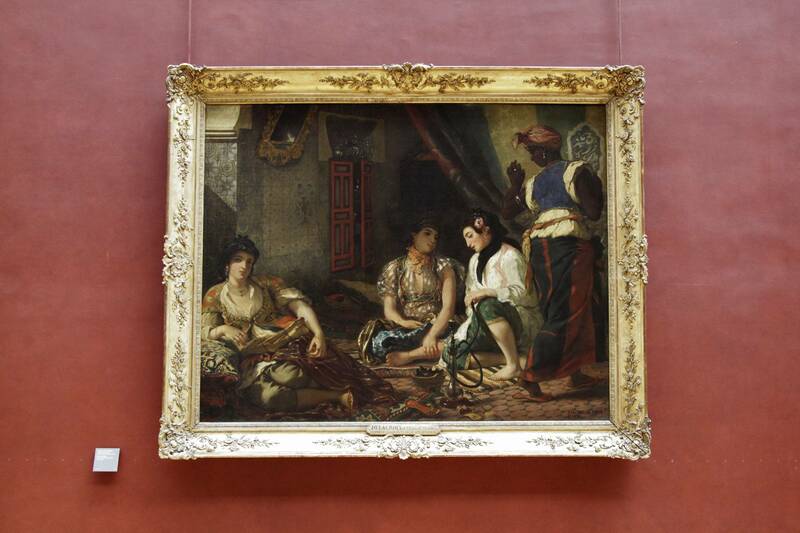 In the words of host Simon Schama, "There are some contemporary artists for whom art for art's sake is not only not enough, it actually amounts to a kind of betrayal of their vocation. Whereas our own world slips ever more into destruction and distress, they want art to mount a resistance to complacency, to catastrophe fatigue. They want to shock us out of our expectations that every day on the nightly news and every day in newsprint we're going to see dead body after dead body." I would put the artists Ai Weiwei and Michal Rovner in this category. Both are challenging our shortcomings and shining light on issues that need to be addressed if we wish to better ourselves as a civilization. All while making brilliant and provocative artwork. The artist in this category that resonated with me most is Kara Walker. Her work is as truthful and poignant as it is impressive. And something she said sums up what I believe to be one of the most important messages of this series. "...We are better than you know, some of these events that have happened. These racist events that have happened over the decades, over the centuries. But, yeah, that could break down so quickly, so cataclysmically... I just don't want to be disheartened by it." Yes, we have come a long way. Yes, we have made a difference. Yes, we have done impressive things. But, that could all go away in an instant. And like she said, we should not be disheartened by this knowledge; we should use it to get even better. Through this series, we have seen so many civilizations come and pass. And I believe we still have a long way to go in establishing our own legacy of tolerance, goodness, and virtue. So, the questions arise again. What will we be remembered for? Will we just be another civilization that almost had it all figured out? Or will our descendants be able to look back and see evidence that we strove to preserve and pay homage to the best parts of our humanity? 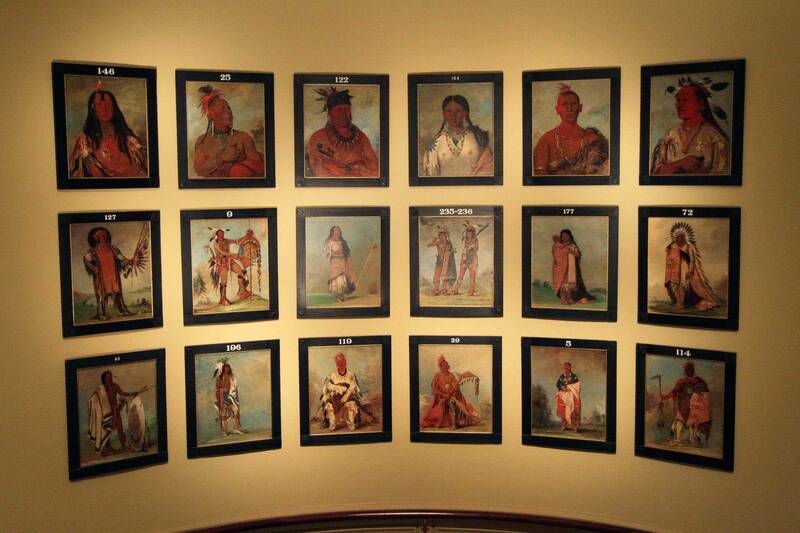 Portraits of Native Americans by George Catlin. 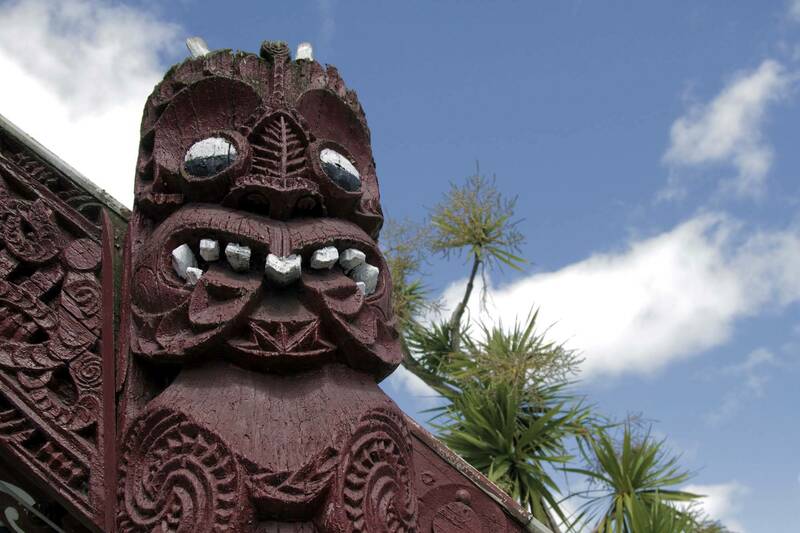 "Te Tokanganui a Noho" 1873 meeting house, Te Kuiti, New Zealand.